About 6¾ (7¾)" (17 [19.5] cm) hand circumference. 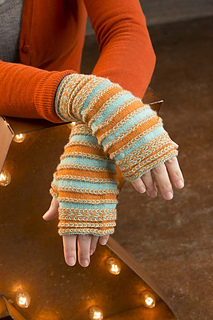 Mitts shown measure 6¾" (17 cm). This pattern is available from interweave.com for $16.58. Most patterns that incorporate Latvian braids only include one or two around the cuff of a mitten and leave you wanting more. 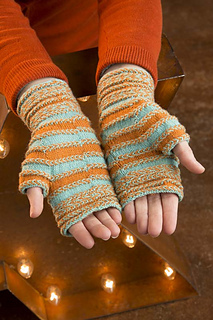 These mitts are all about braids, which create a dense intricate fabric.